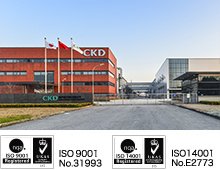 All CKD plants in Japan are certified under ISO9001 and ISO14001. This development-oriented plant gathers a wide range of technologies from automated machines to component products for energy-saving, cooling, and precision machines. At this plant, we promote the development of advanced technologies for systems that are flexible to environmental changes. This plant covers the entire process from development to manufacturing of high performance products and system products. Under a guiding principle of “eco-friendliness,” this plant has an integrated structure covering from development to manufacturing of cylinders. With the motto of “Just-in-Time,” the plant produces a wide variety of products for quick delivery. The plant produces small-sized precision valves via an integrated manufacturing system from processing and forming to assembly. The plant’s employees share the mottos of “Everyone is in charge of sales” and “Everyone is an engineer.” The plant has automated user-friendly production lines and an on-demand delivery system working around the clock. The plant is dedicated for the production of flow control equipment mainly used in semiconductor manufacturing, and pneumatic equipment for automotive, electric machinery and electronics industries. It was constructed with consideration for workers in mind as a concept of a "human-friendly plant". 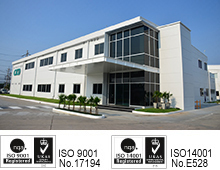 It has adopted automated warehouses, automated/labor-saving assembly and inspection processes. 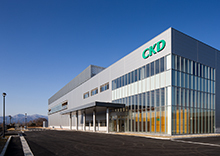 CKD provides high-quality products worldwide by way of cutting-edge production technologies. The plant supplies cost-competitive products not only to the Chinese market but also to the global market in a speedy manner. The plant has a system for supplying component products to customers in the Asian region in a timely manner. Like in Japan, the plant supplies higher quality products by way of an integrated system covering from design to manufacture. The plant supplies our products to customers in a timely manner. No. 59 & 61, Lintang Sg. Keramat 6C, Batu 5, Off Jln. Kapar. Working closely with customers, the plant provides component products as well as maintenance services in a timely manner.